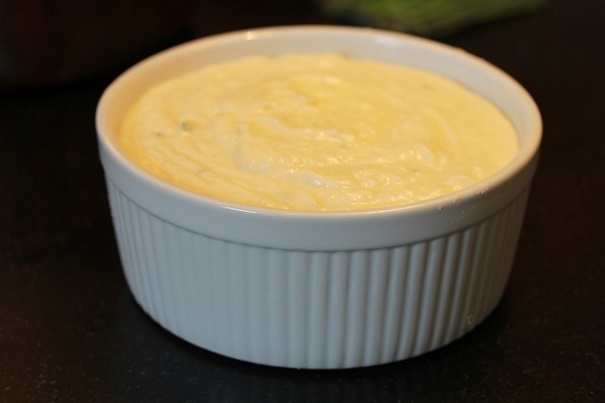 If you want to do something different than the usual mashed potato side dish for Thanksgiving, a potato soufflé is an eye-catching and impressive dish. It’s very smooth and rich, because of the gruyere cheese, and though it’s spectacular presentation only lasts for a short time, the leftovers are still delicious (if not six inches high!) This has a delicate potato flavor (read: can be bland), so make sure you use enough chives, parsley, salt and pepper. Butter and flour a large soufflé dish. Drain potatoes and return to pan, allowing them to dry out at medium heat for just a minute. Do not allow them to start to brown. Add butter and mash the potatoes, stirring in the half and half. Let potatoes cool a bit before stirring in the gruyere, parsley, thyme, chives and salt and pepper. Add the egg yolks and transfer entire mixture to a large bowl. Using a mixer, in a separate bowl beat 7 egg whites and cream of tartar until stiff. 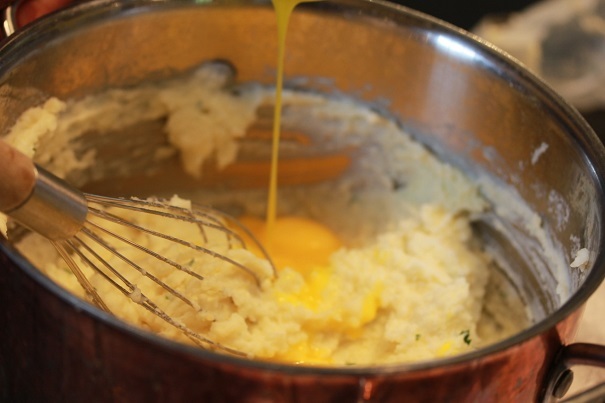 Stir in one-third of the beaten egg whites into the potato mixture, folding the two mixtures together gently. Add the rest of the egg whites and combine until egg whites cannot be seen. Put mixture into a soufflé dish. Bake for 45 minutes, until is it puffy and golden brown serve immediately.